The goodness of ajwain in breastfeeding! Benefits of ajwain in breastfeeding! 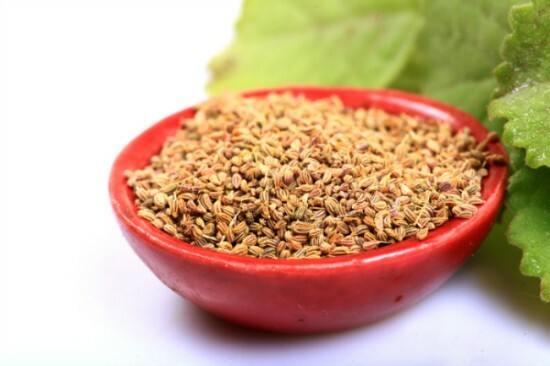 Ajwain might have immensely helped you to deal with uncomfortable pregnancy symptoms. The good news is, this wonderful spice has many benefits post delivery too. The strain of delivery impacts the health of the back muscles and the spine. Ajwain seeds contain anaesthetic properties that improve back pain, and help women recovering from childbirth. In some parts of India, there is a belief that ajwain can increase production of milk in lactating mothers. Consuming ajwain water can greatly improve the lactating mother’s health. Here is the recipe. Mix the jaggery and ajwain seed powder with the water until the mixture dissolves completely. Allow the mixture to simmer on the gas stove for 2-3 minutes. Remove from heat and cool the mixture until it is warm. Strain the liquid and consume immediately. You may add a few drops of ghee if you like the taste. Apart from consuming it as a drink, carrom seeds can also be included in your diet in many ways. Include this seed with other spices to add flavor to dal. To know more about the benefits of ajwain during pregnancy, click here. If you have any insights, questions or comments regarding the benefits of ajwain in breastfeeding, please share them in our Comment box below.